Following three days of contentious negotiations, Congress voted to end the government shutdown on Jan. 22 by passing a stopgap short-term spending bill that funds government operations through Feb. 8. This was the fourth short-term spending bill that Congress has passed since the fiscal year began in October. President Donald Trump signed the bill later that evening, officially ending a relatively low-impact shutdown that left federal employees on furlough for just one work day. 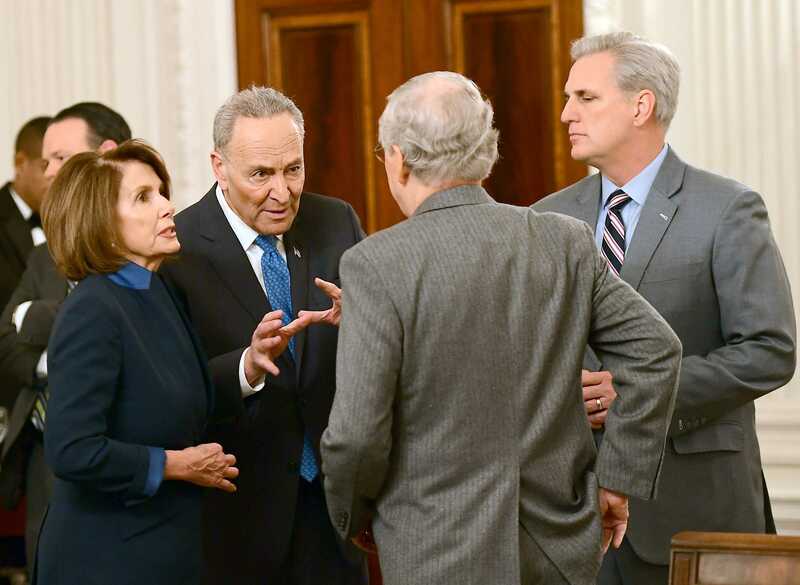 Leading up to the shutdown, negotiations between Democrats and Republicans and coordination between the White House and Congress were complicated by the president’s shifting positions on immigration policy. Minority leader Chuck Schumer (D-NY) met with Trump to discuss outstanding contentious issues before the shutdown vote on Jan. 19, during which Schumer placed funding of a border wall on the negotiating table in exchange for the president agreeing to an immigration measure that would protect the young immigrants known as Dreamers. However, according to Schumer, the President backed away several hours later from that tentative agreement. The president’s Chief of Staff John Kelly, a hard-liner on immigration, opposed any moderation of immigration policy by the White House and presented Schumer with a list of objections that unraveled the plan to keep the government open. Although the weekend involved partisan finger-pointing in which Democrats blamed the “Trump Shutdown” and Republicans blamed the “Schumer Shutdown,” the vote that reopened the government was the result of bipartisan work from a group that grew to include more than 25 senators to forge a compromise. The resolution came when 33 Senate Democrats agreed to join all Republicans but two in voting yes in exchange for McConnell’s promise that he would open the floor to debates and votes concerning the fate of Dreamers in the coming weeks. Dreamers are beneficiaries of the Deferred Action for Childhood Arrivals (DACA) program, which Trump rescinded in Sept. 2017. He set a March 5 deadline for Congress to act on DACA, which 80 percent of Americans broadly support. However, Democrats have no mechanism to hold McConnell to his stated intention, nor can they count on the House of Representatives to take up legislation passed by the Senate. This reason, combined with the quickly approaching DACA deadline, meant that many activists were infuriated by what they interpreted as Democrats’ strategic retreat. There are a number of DACA students on Wake Forest’s campus. Along with allies in the Social Justice Incubator’s student group UndocuDeacs, they will be anxiously awaiting the outcome of McConnell’s pledge.